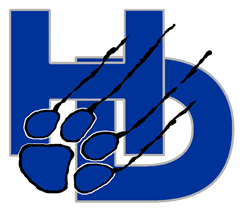 The Wildcat, Hilliard Davidson High School’s student-produced newsmagazine, is dedicated to producing quality reporting on local news in and around Hilliard. We distribute copies of The Wildcat throughout Hilliard Davidson and small businesses in the community. However, having a subscription to the magazine is the only way to guarantee that you get a copy of the latest issue delivered to you! Plus, it a valuable way to support student journalism! Standard Subscriptions (including mail delivery) --$20.00. In addition to subscribing to The Wildcat, you can support student journalism and The Wildcat by making a donation. Choose a donation level below and be recognized for your support. Donors who contribute at any of these levels will be recognized in the issue following the donation. Donors who contribute at any of these levels will be recognized ineach issue throughout the school year. If a mid-year donation is made,donors will be recognized in the following issues of the school year.